If you’re thinking of switching your ISP in rural Mississippi, you need a true high speed Internet service. After all, you’re probably paying for high speed Internet service in rural Mississippi, but are not getting fast enough Internet. This happens often times, as ISPs are themselves part of the problem with the unsatisfactory high speed Internet service in rural Mississippi. If you’re tired of not being able to enjoy online gaming or stream live on Twitch, your best bet is to combine two or more Internet connections in Mississippi. Speedify, the fast bonding VPN service, is here to help. What Are the Issues with High Speed Internet Service in Arizona? 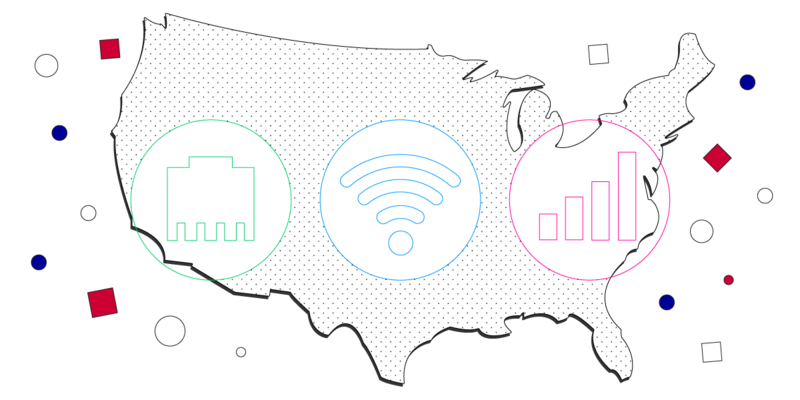 Too many of your neighbors have the same ISP and you experience slowing during peak usage hours. The easiest thing to do is to first test your router to see if that is the source of your problem. But, if the issue is your ISP, your best bet is to use a second Internet connection and combine the two connections into a single fast pipe with the Speedify app. One of the concerns after the net neutrality repeal is that ISPs could throttle Internet access for certain services – especially the bandwidth-intensive ones such as live video streaming, online gaming, etc. They could ask for more money from the consumer if they want to access that specific service with full speed. If there are several high speed Internet service providers in the area you live in Mississippi, you will have where to choose from and avoid such issues. Here is an interesting map of the high speed Internet coverage in the United States – where do you stand on that? Speedify is a fast bonding VPN that works to use multiple internet connections at the same time. It delivers faster, more stable, and secure Internet. Don’t Wait for Electric Co-Ops to Bring High Speed Internet to Rural MS. Here’s How to Get It Now. Install Speedify on your computer or mobile device. Get it from our website or from the Apple Store / Google Play Store. Make sure you are connected to one of the Internet connections. Most computers only have a single WiFi card and a single Ethernet port. The easiest process is to connect to the first Internet source using your Ethernet port. Connect your computer to the second Internet connection. The easiest process is to connect to the second source using WiFi. If available, connect your computer other Internet connections – you can tether a smartphone via USB or Bluetooth, find another WiFi, etc. Run the Speedify app. 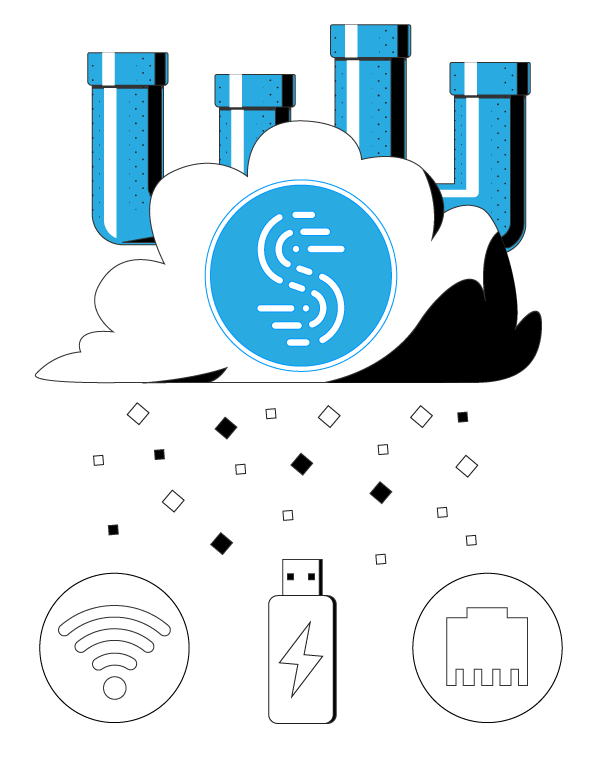 Speedify will automatically combine the different connections into a single fast pipe. You will enjoy a lightning fast Internet experience like you have never seen before. Apart from combining multiple Internet connections at once, Speedify can keep you always connected to the Internet. If for any reason one of your connections goes down, Speedify keeps you online by automatically rerouting all of your traffic through the existing connection until the other connection comes back online. You don’t have to do anything. Once the other connection is stable again, Speedify starts to use it again. Speedify is also an anonymous no-log VPN that will keep your data secure from hackers and snoops. Not even your IPS will know what sites you are visiting. Your fast connection will allow you to easily stream movies and music while also surfing the web. You can say goodbye to buffering and interrupted connections. Tired of the slow Internet service in rural Mississippi? Get started with Speedify! Experience high speed Internet in rural Mississippi your way.